During the long nineteenth century mechanized manufacturing, accelerated modes of production and innovative trades and industries created employment possibilities for an increasingly professionalized workforce. While factory and clerical workers, shop girls and other members of a newly established workforce faced changing working hours and environments, a transformation of clothes paralleled this revolution in trades and industries. New vocations required new vestments at a time when the affordability of mass-produced clothing launched the ready-to-wear industry. Social mobility expressed itself in new sartorial patterns and specific uniforms or dresses became the markers of professional identity and social mobility. At the turn of the twentieth century the histories of dress and labour shared many common threads. Hosted by the Bishopsgate Institute in London’s East End, thisinterdisciplinary conference brings together scholars from the Humanities, the Social Sciences and the Creative Arts who have research interests in the intersecting histories of clothes and labour at the turn of the twentieth century. The conference organizers invite paper proposals of 300 words by 30 April 2014. Please email abstracts to tailoredtrades@exeter.ac.uk. We invite abstracts from scholars at all career stages and are particularly interested in receiving proposals from textile curators who work on projects related to turn-of-the-century fashion and design. 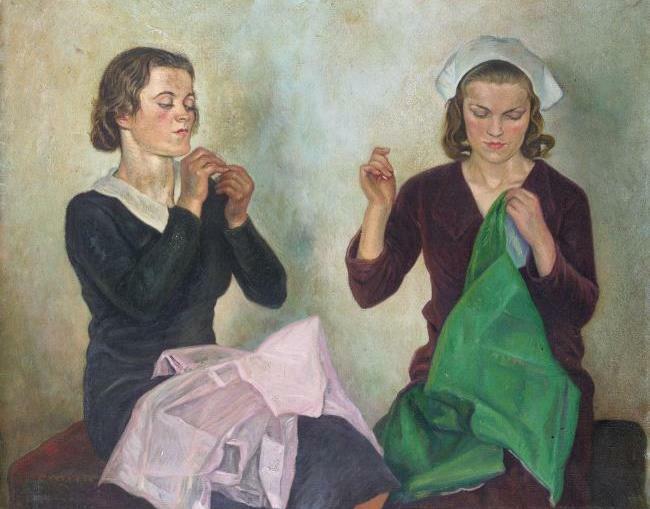 This conference is part of a series of research events on the interconnected histories of clothes and labour funded by the AHRC Connected Communities programme: http://tailoredtrades.exeter.ac.uk/. This entry was posted in Events and tagged clothes, consumption, fashion, textiles, uniform. Bookmark the permalink.